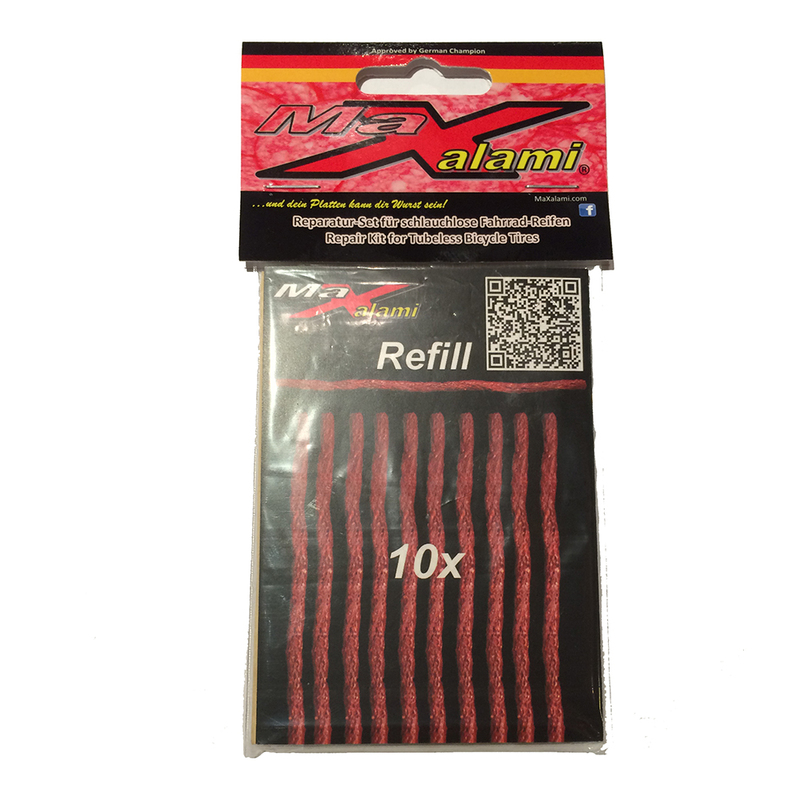 The MaXalami tubeless MTB refill kit features large plugs designed specifically to work with tubeless mountain bike tyres. Using the MaXalami insertion tool (sold separately) these plugs seal cuts quickly and easily without the need to remove your wheel with fast, effective inflation achieved with a CO2 cartridge. Simply take out any offending foreign object and insert a ‘worm’ using the insertion tool. As you hold the worm and take the tool out, the worm stays in and seals the hole. Tested up to 140psi.